About five years ago I was on the Simpson Facebook site. They announced a closeout sale of this brush. There were only 2 available. I bought one. I put the brush in the drawer for a few years and forgot about it. I found it again and shaved with it a few times. 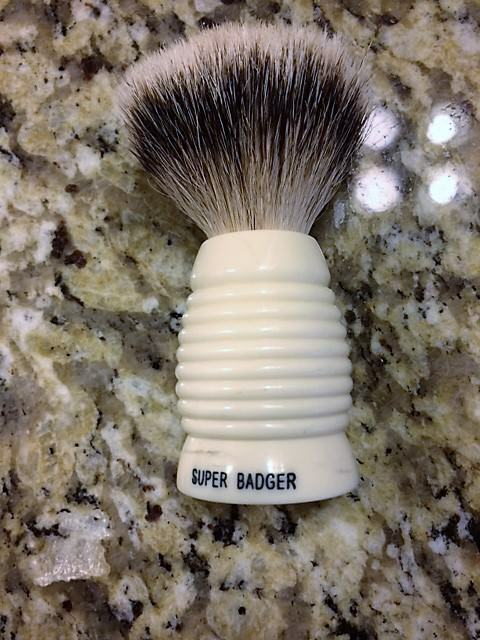 It is a marvelous brush but it gets lost in my large rotation. I really do not remember what I paid for the brush. However, research has shown that this model exists in Manchurian and sells on average for $210. Mine is a much rarer model in Super. I am asking $200. If the editors on TSN have a problem with the price. Please let me know and I will remove the item from BST. 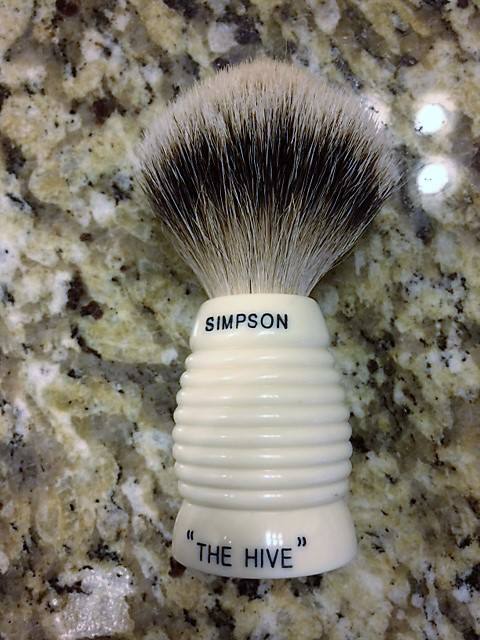 So here offered for your pleasure is a rare Simpson Hive in Super Badger. Asking Price $200. That handle style is surprisingly ergonomic and easy to hold with wet hands!